You likely have a skin care routine that you follow every day—and that probably includes applying moisturizer morning and night. But how much attention to you pay to your lips? It turns out that they could use some love, too! Here, keep reading to learn how to get more beautiful-looking lips by smoothing lips with a sugar scrub, slathering on a hydrating lip balm, and picking out the most flattering shade of lipstick for you. Don’t skip this step in your beauty routine—especially if you have dry, flaky lips. Exfoliating your lips can help get rid of dead skin cell buildup on the surface, which in turn can help give your lips a smoother look and feel. And that can allow lipstick to glide on more easily. Try exfoliating your lips with the L’Oréal Paris Pure-Sugar Nourish & Soften Face Scrub, L’Oréal Paris Pure-Sugar Smooth & Glow Face Scrub, or L’Oréal Paris Pure-Sugar Purify & Unclog Face Scrub. Massage a small amount of your sugar scrub of choice onto your lips with wet fingers, then rinse thoroughly with lukewarm water and pat dry (using hot water can dry your lips out further)—just don’t use on chapped lips. Just as you use broad-spectrum sunscreen to protect your complexion from the sun, you should use a lip balm formulated with SPF to shield your lips, too. Spending prolonged periods of time in the sun sans protection can lead to visible signs of aging, like dark spots and fine lines and wrinkles, appearing down the road. Apply lip balm with SPF as directed (you should reapply at least every two hours)—and remember to take additional sun protection measures as well, like seeking shade when you’re outside and limiting your amount of time in the sun, especially between 10 a.m. and 2 p.m., which are the sun’s peak hours. As much as you might be drawn to a particular lipstick shade, keep in mind that darker colors can give the appearance of thinner lips. So even if you’ve rocked a deep berry hue your whole life, it might be time to lighten up—particularly if you want to create the appearance of bigger lips. A few of our favorite lighter lipstick shades include the L’Oréal Paris Colour Riche Matte Lipstick in Matte-caron, L’Oréal Paris Infallible Paints LIPS/Metallic in Moon Lust, and L’Oréal Paris Colour Riche Shine Lipstick in Burnished Blush. 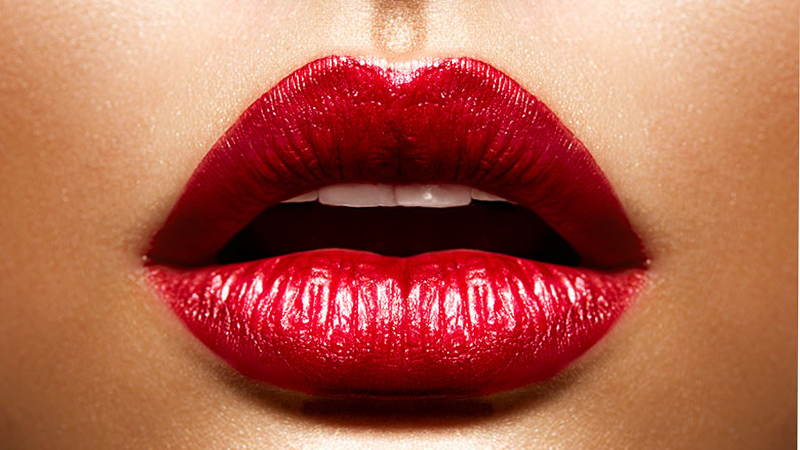 If you want to make your lips pop without going bold and bright, try applying a touch of lip gloss to add dimension. While your mind might first jump to lip liner, another great way to define your lips—especially when you’ve filled them in with color—is to trace the outer edges of your lips with a little concealer. To expertly trace your lips, use the brightening L’Oréal Paris Infallible Pro Glow Concealer, which comes with a wand so that you can easily target small areas. At the end of the day, it’s time to cleanse—but that doesn’t mean you have to roughly wipe your lipstick away. Instead, be gentle! Use a no-rinse cleansing option, like the L’Oréal Paris Micellar Cleansing Water Complete Cleanser Waterproof – All Skin Types, which can be used on face, eyes, and lips. All you have to do is saturate a cotton pad with micellar water and wipe the pad across your lips to remove lipstick. Follow up with a nourishing lip balm to hydrate your pout overnight and you’re good to go!